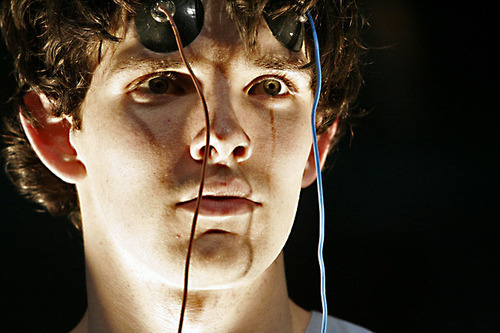 Colin.... . Wallpaper and background images in the Colin morgan club tagged: colin morgan. Colin is letting Merlin come through! Look at his eye! What the heck! What has Colin got on his forehead? he looks so freakily hot! What movie/play/tv show is this from? Please tell, me!